Last week, the cult-favorite email app Sparrow announced it had been acquired by Google. 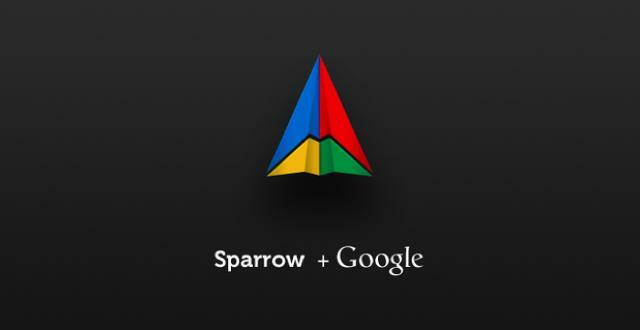 Sparrow’s site explained the typical reasons why: We’re going to work with Google to make something bigger and better. It’s the same sentiment we hear every time there’s a so-called ‘acquihire’ — one company scooping up another to take on its talent, rather than its product, which typically becomes a fatality of the transition. Faithful early adopters are supposed to feel comforted by the fact that the product is going to live on in larger form, maybe revolutionizing the buying company on a certain level. At least, that’s the idea; the skeptics among us know that there are generally different implications of what an acquihire means. From taking out competitors to putting a stamp on a particular market, more often than not, “innovation” is one of only several factors motivating these business decisions. Which is why Sparrow devotees were disappointed to hear about the Google deal. The company’s email app was an incredible product that people had high hopes for and were excited about. We wanted to see where it would go, and a roadmap was in place. But Sparrow’s features are now frozen in place, and Google’s reasons for scooping up the startup aren’t totally steeped in innovation. Building an app like Sparrow — an app that’s trying to change something like email — can be complex and expensive. While the app economy is a real thing creating real jobs, they can’t all be the next Instagram or Angry Birds. And when they’re not, an acquisition looks like the next best option, even when it may kill off the product. Sparrow wasn’t even free; it was $2.99 in the App Store. That’s relatively expensive. So its inability to make enough money to stand on its own two legs as a business is definitely concerning. You just have to look at the numbers regarding how many people own smartphones, how often we’re accessing Facebook via its mobile app, sending email from our smartphones, logging minutes on them, playing games. For each of these things, there’s a survey that says mobile growth is unstoppable and that the app market is exploding. So it should stand to reason that users want this, that this is something we’re willing to pay for. But it’s not working this way: As consumers, we’re unaccustomed to paying much, if anything at all, for apps. As someone who can count on one hand how many apps she’s paid for and usually uninstalls anything that has more than two in-app purchase prompts, I know I’m part of the problem. I spend a lot of time using my iPhone, and I want top-notch app experiences… yet the moment someone asks me to pay for them I can hear my brain saying “whoa, whoa, whoa — let’s just slow down here.” Smartphones are expensive and so are data plans. Adding charges on top of this seems unfair. I’m willing to admit, though, that my attitude isn’t long for this world. As digital life becomes increasingly tied to real life, we’ll have to be willing to consider apps a worthwhile investment. It’s something that Imeem and PicPlz founder Dalton Caldwell recently wrote about after Twitter announced its new API restrictions. Caldwell argues that instead of subjecting ourselves to “free” content that actually plagues us with advertisements and uses our data in order to build even more targeted advertising, we should pay for digital products. His new project, App.net, wants to change this line of thinking and get out of the business of harvesting and selling user data. Instead, App.net (if it reaches funding) would be a paid service for mobile app developers, allowing the focus to be on the product. App.net is an ambitious endeavor, and while it feels a bit ahead of its time, Caldwell is making some really important points. The app marketplace — both mobile and Web — is very new and user behavior and expectation are in the process of being formed as we go. Right now, even critically beloved apps like Sparrow are having a hard time making it on their own. And unless something changes and we evolve how we think about these products, it’s going to keep happening.